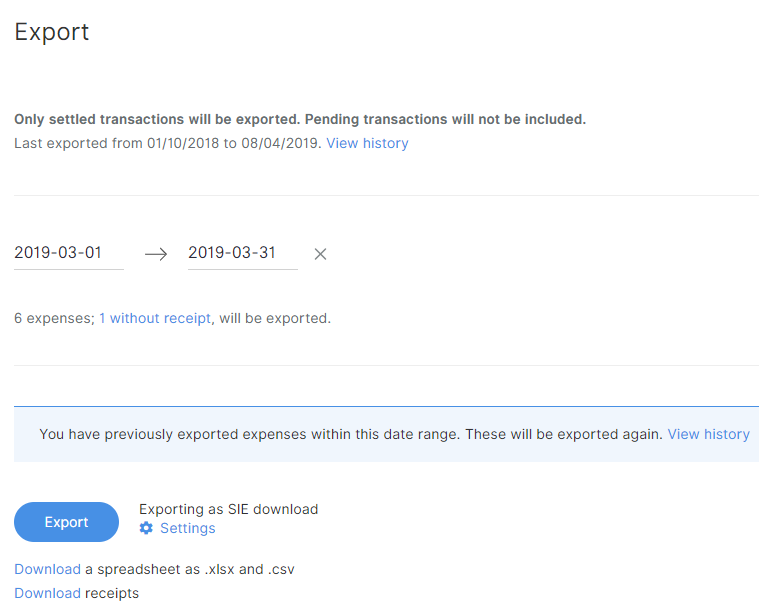 Make sure you have set up the integration with your preferred accounting system prior to exporting. If you have not done this, you can do it on the "settings" page. Note: Transactions will be exported according to the date and price of presentment, not authorization. Learn more about authorizations vs presentments.